It seems harder and harder for patients to find quality healthcare that is readily available. Patients are often put on lengthy waiting lists to get an appointment with a doctor, so they end up going to the emergency room for immediate care. According to research, between 13.7% and 27% of all emergency room visits could be treated at walk-in clinics with a possible annual cost savings of $4.4 billion. 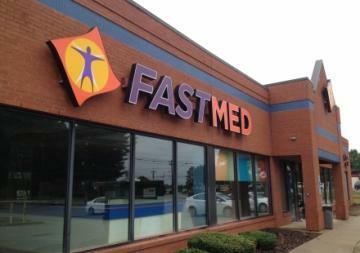 So, the next time you or a loved one needs immediate care, choose a FastMed walk-in clinic in Winston-Salem, NC. Why spend hours at the emergency room when you have a quality walk-in clinic in Winston-Salem, NC, such as FastMed Urgent Care? If you are in need of after-hour care or are unable to get an appointment with your primary physician, you can always count on FastMed. Click here to find the closest clinic to you.